Whatever you do, don't shame them. Remember how grandparents used to grab the chubby cheeks of their grandkids and shake them? Fat was a sign you were raising a healthy, robust child and a testament to your good cooking. 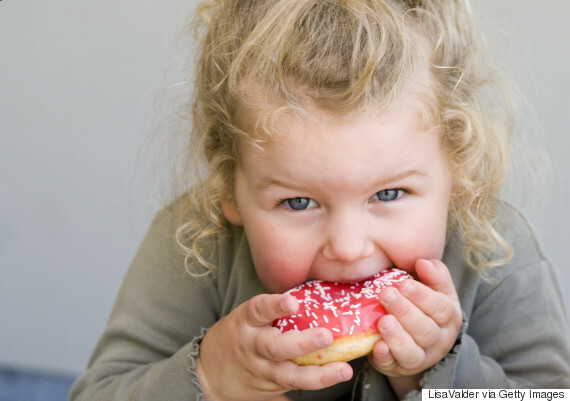 Today, however, childhood obesity is a nation-wide concern. Type 2 diabetes in children has increased around the world over the past 20 years but some parents may shy away from putting restrictions on their kids' diets for fear of creating an unhealthy relationship between their child and food. We live in a weight-obsessed culture where girls as young as eight years old are starting to diet. According to a Kids Help Phone’s Teens Talk report, almost half of all teens said they had concerns about their body image. So, what's a parent's best approach? Talk to your family doctor. 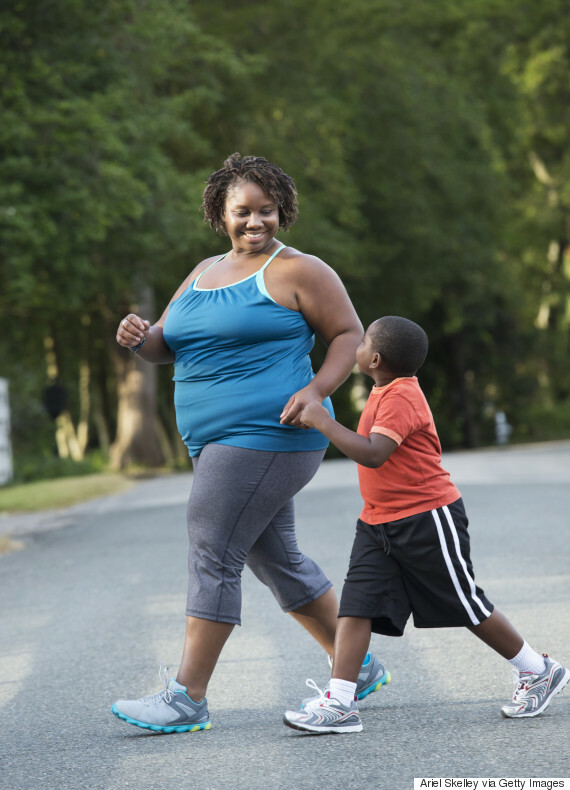 Every child has a different metabolism, activity level and nutritional need and children often bulk up in weight just before a growth spurt hits. 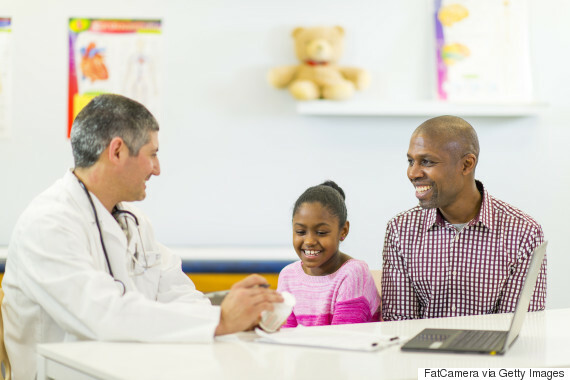 If your doctor sees your child regularly, they can track your child's development over time. Weight gain is also a symptom of other disorders, so a medical perspective can rule out potential health concerns. It's easier for a child to hear from their doctor that they are over their recommended weight than hearing it from their parent. Be sure you always frame the topic of weight as being a concern for one's health and not about looking good or meeting some beauty ideal. Healthy comes in many shapes and sizes! Use a measure of success that does not include the scale. How are you feeling? How do your clothes fit? Is your skin glowing? Do you have more energy? How are you sleeping? Treat the issues as a family issue rather than singling a child out. Decide together how best to revamp the family's lifestyle to be healthier eaters. Make it a team project and ask for suggestions to empower children. They like having a say and knowing their ideas matter. Get some basic education on healthy family eating. A family food review will help everyone see the frequency of meals and snacks, but also the quality of what is being consumed. The idea is to "upsize" the nutritious food and "downsize" the junk foods. But kids need to know the difference between "health-boosting food" and "junk food." A big glass of orange juice seems healthy but the sugar in a glass of juice is equivalent to eating several doughnuts whereas a handful of nuts is great for fighting off cancer. If you have the resources, you can also visit a nutritionist. However, children can do a grand job of helping you do online research together. Maybe that is how you found this article! Learn together how much of each food group each person should be eating. 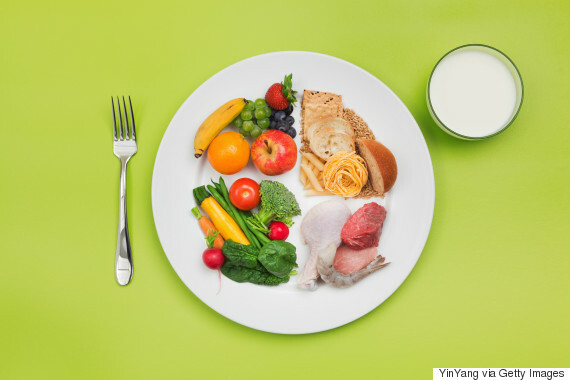 For younger children, you can buy plates that are divided into regions indicating how much should be on their plate for carbs, protein, vegetable, dairy, etc. Most of us are eating while we're doing something else so try a family experiment of eating mindfully for a week and discuss the experience. What did they notice or learn? Remind them that eating habits are just that — habits, things we do in a repeated manner with little or no thought. If you develop a habit of drinking milk with each meal, you are sure to get your daily calcium requirements fulfilled. If you develop a habit of eating four cookies after school, you'll do that thoughtlessly (and over-consume the amount of sugar recommended for the day). Switch out the Oreo habit for some apple slices and nuts and habituate that instead. Work together as a family to switch out one habit at a time together. Ask the children for their ideas and suggestions of what the family could do to be healthier. Oreos only on the weekends might be a good start. Going for a family bike ride instead of sitting around might be another. The idea is keeping the kids engaged in the process rather than feeling they are being controlled or told what to do. If healthy eating is a shared goal and approached light-heartedly, your children are more likely to comply rather than hide those Oreos in their bedroom.